The year is 1964. Inspector George Gently is known for his relentless pursuit of notorious gangsters in London – as well as the crooked cops that cover their tracks. But when his wife is murdered, deciding that he’s got one case left in him, Gently heads up to Northumberland to solve it, and then decides to stay. Supported by young Detective Sergeant Bacchus, Gently is about to discover a whole new world of murder and intrigue in 1960s ..
Own Inspector George Gently Series 1 to 8 Complete Collection DVD from Deff, DVD, Blu-Ray & 4K Video Specialists - Free UK Delivery.. This four disc set features all four episodes that make up the acclaimed and award nominated second series of George Gently. 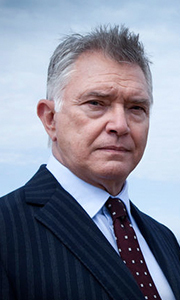 Martin Shaw returns to 1960s Northumberland as Inspector George Gently in four feature length films. The series throws Chief Inspector Gently into a maelstrom of murders and mayhem, whilst lovingly recreating the swinging sixties as it finally hits the North-East, in perfect and nostalgic detail. Chief Inspector G.. It's 1966 and the world is changing fast. Martin Shaw returns to Northumberland as Inspector George Gently. George Gently is one of the unsung heroes of detective fiction, whose passionate investigations reveal the dark underbelly of a society on the cusp of change. With his sidekick, the undisciplined Detective Sergeant John Bacchus (Lee Ingleby), they make the perfect police partnership, full of warmth and humour. In this third series..
It’s 1969, one year on from the harrowing shootings at Durham Cathedral that nearly claimed both Gently’s and Bacchus’s lives. Having pushed himself to full fitness, Gently has returned to duty while Bacchus is still recovering in a police convalescent home. Shocked to receive his sergeant’s resignation, Gently insists Bacchus works his one month’s notice. He then sets about trying to change Bacchus’s mind and help him overcome the barr..
It’s 1969 and, on the cusp of a new decade, Gently has to face up to some sobering facts which could possibly have life changing repercussions. DS Bacchus and WPC Rachel Coles continue to have a contentious relationship in which she gives as good as she gets, crushing his male ego and sexist attitude. Meanwhile Bacchus finds himself in love with the wrong woman. This two disc set contains all four feature length investigations from the ..
Own Inspector George Gently Series 8 DVD from Deff, DVD, Blu-Ray & 4K Video Specialists - Free UK Delivery.. It's 1966 and the world is changing fast... Martin Shaw plays one of the unsung heroes of detective fiction, Chief Inspector George Gently, whose passionate investigations reveal the dark underbelly of a society on the cusp of change. Lee Ingleby returns as Gently's contrasting sidekick Detective Sergeant John Bacchus. This two disc set includes both feature length episodes from the fourth series. Special Features Cast Filmographies, A..
Own Inspector George Gently Series 5 DVD from Deff, DVD, Blu-Ray & 4K Video Specialists - Free UK Delivery..